Sunshine is a wonderful thing, but sunscreen should go hand in hand when you are out enjoying it. About 15 minutes of unprotected sun exposure a day is good for you but beyond that you need protection. There are a lot of excellent choices in American made sunscreen and in this case you need to be able to trust the ingredients. I would not buy any sunscreen that is not clearly labeled ‘Made in the USA'. 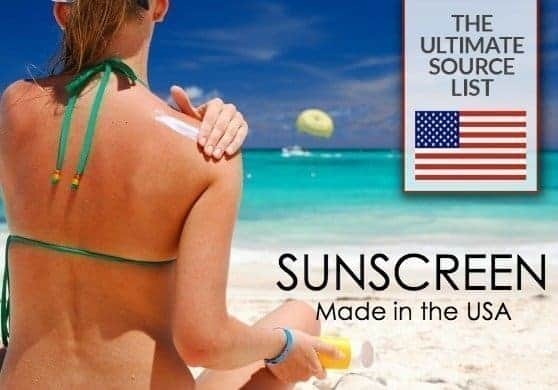 This is our exclusive list of made in USA sunscreen and I personally recommend any and all of these products based on personal use and professional knowledge. Don't miss our lists of American made organic sunscreen options, made in the USA facial sunscreens, and non-toxic sunscreens. I am a licensed esthetician and as such have attended smart aging courses. 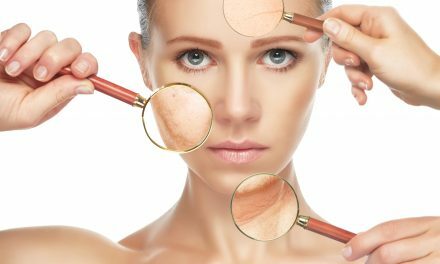 Above all things, sun damage is the leading cause of premature aging which is a small problem in comparison to skin cancer. The statistics can be alarming, but knowledge is power. Use these tips to stay safe in the sun. 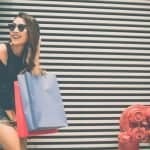 This list is composed of brands we love that manufacture their entire lines in the USA ; most of the brands are exclusively sun care. Slather on the made in USA sunscreen and soak up the sun. 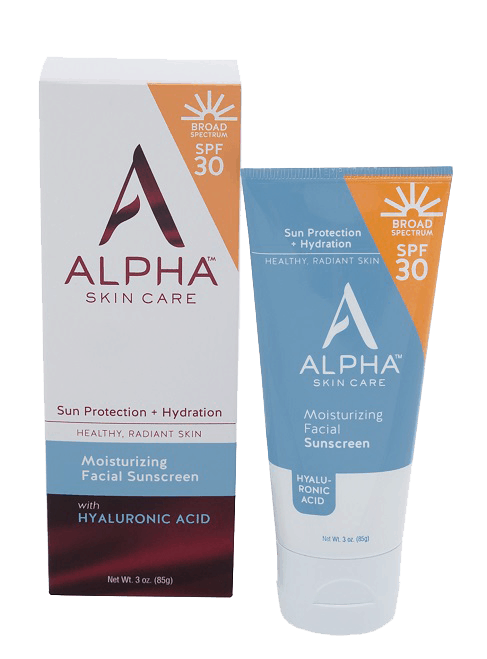 Alpha Skin Care Moisturizing Sunscreen SPF 30 comes from their line of anti-aging, goal oriented products. It is a simple formula and reinforces any of their AHA treatments you maybe using to combat dark spots and wrinkles. Mineral Fusion – Their Brush on Sun Defense is great for facial areas and shoulders that catch the most sun. It leaves skin glowing and is convenient. They carry several other options for the face, all being vegan. Juice Beauty – SPF 30 Sport is chemical free and uses mineral zinc oxide paired with antioxidants. They also carry facial sunscreen products, their CC Cream is a personal favorite with an SPF of 30 and medium coverage. Derma E – offers several facial sunscreen options that are vegan and packed full of skin care benefits. They also have a body sunscreen that is in a clear formula that leaves the skin sheen and healthy looking. Goldfaden MD Sun Visor – has SPF 30 in a non-aerosol spray mist. This feels and looks invisible. It has UV filters to prevent age spots, fine lines, and wrinkles. It can be sprayed on top of makeup for reapplication as well. This is advanced sun protection at its finest. All Good- offers a collection of all-natural skincare products made from simple plant-based ingredients, including calendula grown on their organic farm. All Good reef friendly sunscreen is available in a lotion, stick, and butter. 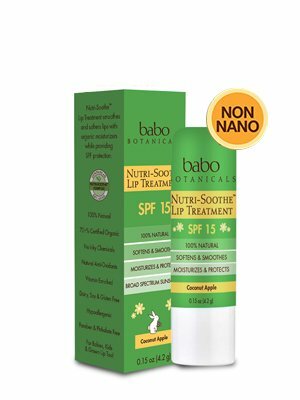 Babo Botanicals- made in USA sunscreen products are made on a certified organic farm and a family run operation, located in beautiful upstate New York. Block Island Organics – A natural mineral body and facial moisturizer sunscreen is made in the USA. California Baby Sunscreen – Is ideal for little ones, or those with super sensitive skin. It is in the easily portable stick form, clear, fragrance-free and non-chemical sunblock. Their stick is great protection for cheeks, noses, and shoulders. The brand's sunscreens are mineral sunscreen based so they are safe for the entire family. 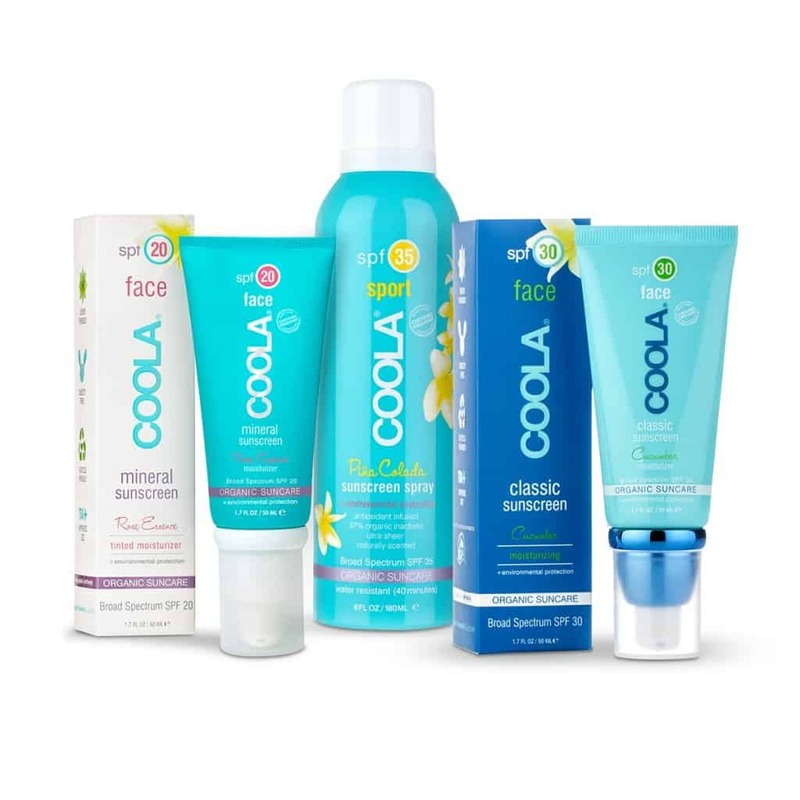 Coola – A luxury and eco-conscience sunscreen brand produced out of San Diego, California. 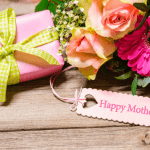 They offer products for the whole family in many varieties. Each blend is at least 70% percent organic. Some of their products come beautifully scented as well. Goddess Garden Organics makes protecting your child’s sensitive skin could easier than ever with a top-rated, non-nano, organic sunscreen. It's perfect for sports and all outdoor fun. The kids sport sunscreen will keep your family safe from the sun with natural minerals. The sunscreen is EWG rated 1, 100% biodegradable, reef-safe, and offers 80 minutes of water resistance. Sunology – Uses natural active ingredients and is formulated for the whole family, this is a physical sunscreen. They also offer facial and kids specific products. I love this line for the simplicity of product selection. Supergoop – Has a great range of products for various needs or preferences. They have facial and body products. Their really is something for everyone. (non aerosol spray mist, Sun-Defying Sunscreen Oil, Everyday Sunscreen) All Supergoop is made in the USA except City Serum. Badger – Their line is mineral based suncare that is chemical free. They source organic sunscreen ingredients and are eco friendly. (creams, sticks and baby). Not all Badger Sunscreen is made in USA- read labels carefully, some are made in Canada. Sun Bum – these products are designed for the outdoor, sun loving lifestyle. 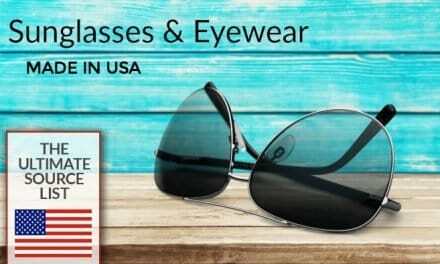 The company operates from Cocoa Beach, Florida. Sun Bum natural sunscreen is available for babies and kids. Sol Scents – their product is a scented lotion that has an SPF. Sunscreen is their agenda but you would never know it. 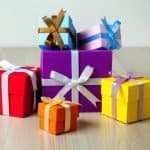 The packaging, scents and formulas are just like specialty shop body lotions but better. Australian Gold Botanical Sunscreen Mineral Lotions are safe for the entire family, the ocean, and our environment. 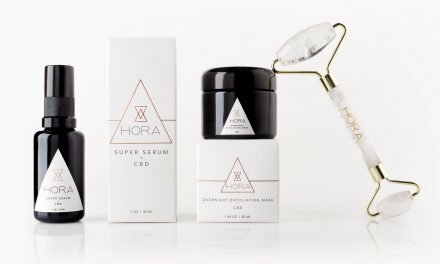 The formula is free of toxins, dyes and oils while the packaging is designed with as few materials as possible and recyclable. I totally agree, Christina. Sunscreen is not cheap, besides being really, really important. We need those ingredients to be pure, effective, and in the promised concentration. 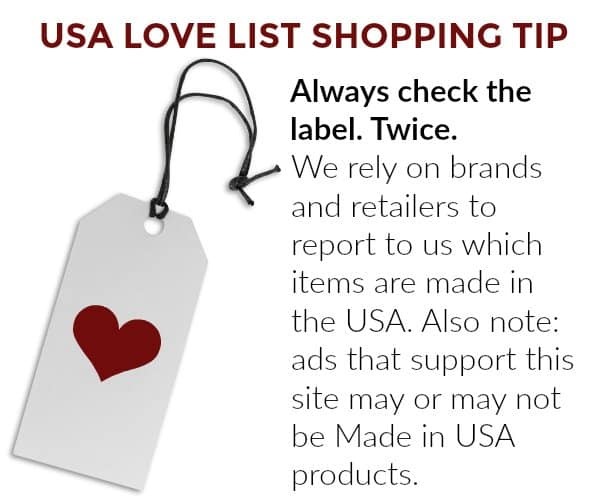 I just trust products made in the USA more than those made elsewhere and this is a category where I won’t compromise. I’m thankful we have so many good choices. Good information. I have been wanting to get some sunscreen, but I am opposed to some of the ingredients they use. I am going to check out the Badger and Opas lines. They both sound really interesting. I love these lists! I would prefer to buy USA made, and if it’s cruelty free, that’s an added bonus. I’m shopping for some of these brands today! Yes, made in America is a great start for a product but the U.S. doesn’t have as strict of regulations on chemicals as the EU and some other countries. A lot of the listed products/companies are good according to the toxicity scale of the Environmental Working Group, but not all of them are that great, like the Coola brand and the Alpha Hydrox brand. Also, keep in mind that if a product is scented that’s probably an indication that it has some toxins in there that you’re better off avoiding. 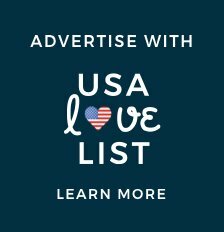 I love the USA Love List. I love made in America products. I swear by companies that are not affiliated with animal testing. But a truly phenomenal product would have all those things plus a toxicity rating of 3 or less from the Environmental Working Group’s SkinDeep database. Thanks you for your enthusiasm Alexandra. 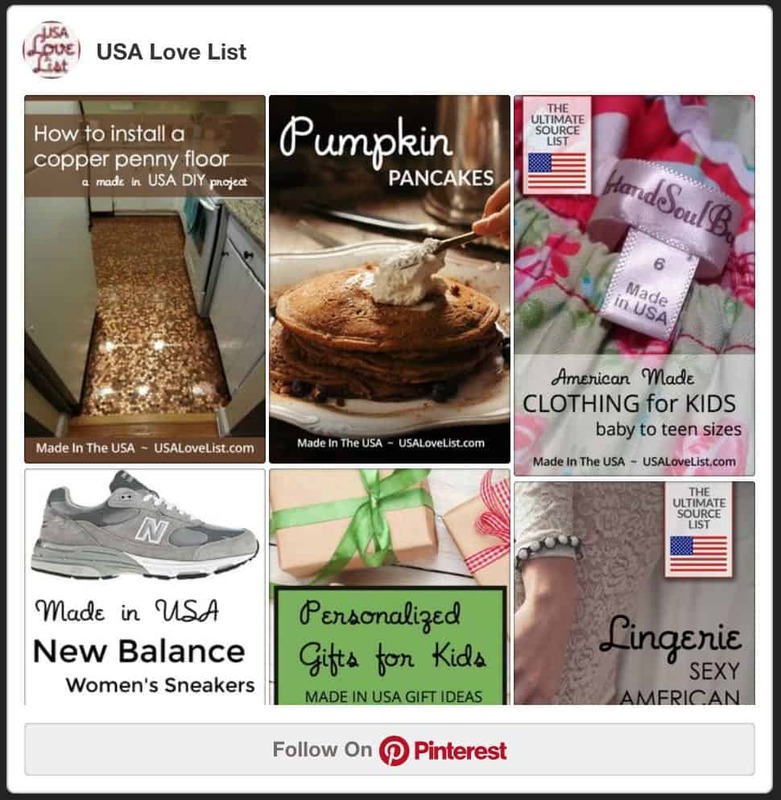 We strive to promote products we love that are supporting the American economy. As you pointed out many of these selections and others featured on our website rank well with EWG while others only moderately so. I personally choose this way often. For our readers we provide a wide variety to accommodate many needs and preferences. I do find it to be a great and well informed goal to check your products with EWG and make the best decisions for you and your family. 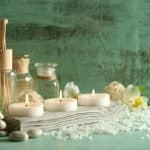 I think you would really enjoy some of our recent posts involving a series featuring only non toxic products of many kinds. 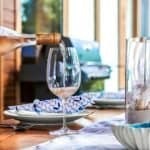 This is a very informative post, and list. 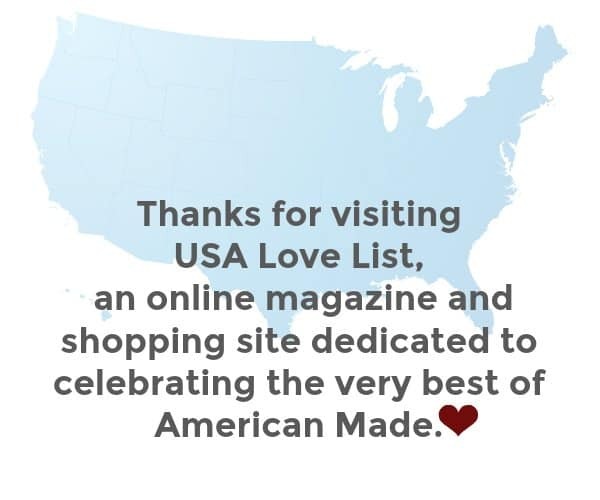 Some of these brands I have never heard of before but I am solid on buying American made. I will check them out! I’ve got some of the Alpha Moisturizer with sunscreen, & I really like it. I remember my early teens, back in the late 70s, when we actually oiled up with baby oil in order to attract the sun & get a great tan. We would oil up & ‘lay out’ in the sun for hours! Yes, we were idiots! I would love to purchase MADE IN USA SUNSCREEN. This is a terrific selection. This is such an useful list, thank you! I’ll also be checking out the other linked sunscreen posts as well. I’ve been wanting to try Juice Beauty, and have tried a few others on the list. Funnily enough, I didn’t realize that Australian Gold (of which I have a tube of facial sunscreen sitting a few feet away from me) was made in the USA. I actually got up and looked at the label, and well, that was a surprise! Lol. Their facial sunscreen will definitely be a repeat buy for me now.